1. 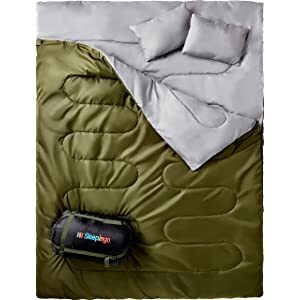 Sleepingo Double QueenXL Warm Sleeping Bag 32-degrees F.
2. 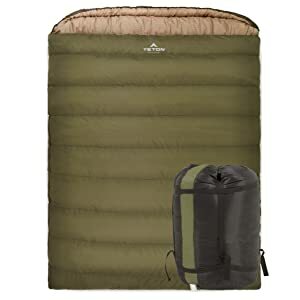 TETON® SPORTS Mammoth Double Warm Sleeping Bag 20-Degrees F.
3. 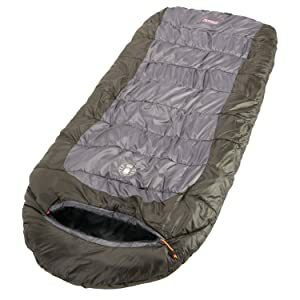 Outdoor Vitals® Summit 800 Fill Power Down Sleeping Bag 20-Degrees F.
4. Coleman® Big Basin™ Extreme Weather Sleeping Bag 15-Degrees F.
5. 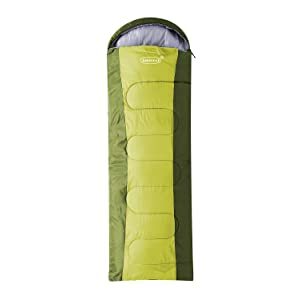 TETON® SPORTS Celsius XL Sleeping Bag 25-Degrees F.
6. 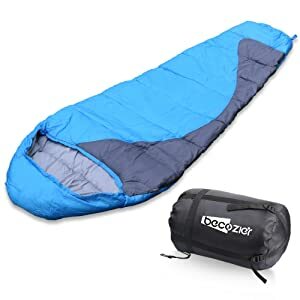 Becozier Sleeping Bag 24- to 82-Degrees F.
7. 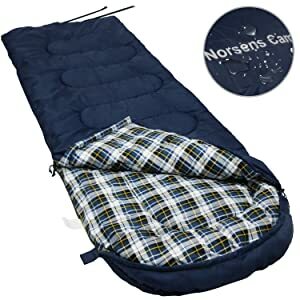 Norsens Sleeping Bag 30- to 50-Degrees F.
8. 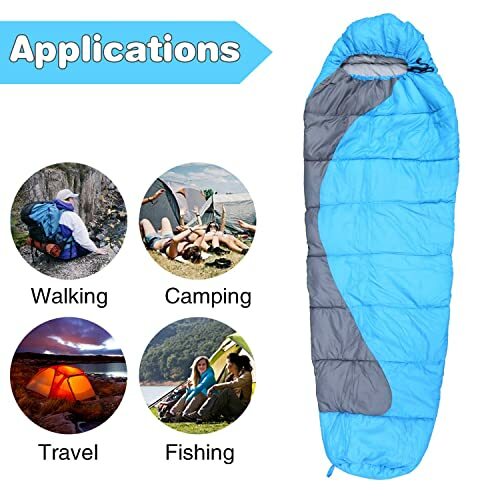 Tough Outdoors XL Sleeping Bag 32- to 60-Degrees F.
9. Amicool® XL Warm Weather Sleeping Bag 43- to 72-Degrees F.
10. Outdoor Vitals® Atlas Down Sleeping Bag 15-Degrees F. or 30-Degrees F.
A three-person buffalo sleeping bag used during Arctic exploration circa 1880 is shown on the right. It looks comfortable but it also looks like it would be terribly crowded with three people never being able to turn over—or maybe they did—all in unison. Gone are the days of sleeping bags being made of a square blanket or quilt filled with warm feathers, straw, cotton, or other materials with a zipper on two or three sides to tuck us in. Some of us might have slept in them as kids if you are old enough to remember. Then came the mummy bag, the least comfortable for me, holding my feet together at the pointed end where I felt as if I would suffocate. Tapering from the head-end to the foot-end improves the heat retention throughout. It is not folded or rolled just simply stuffed into a carrying bag. Except for the buffalo sleeping bag shown here, the other types are folded up and wrapped with a cord to take along with you. Today’s best sleeping bags for camping are not a thin folded blanket or quilt with a zipper. They are essential and the lifeblood for serious outdoor adventurers and survivalists. The new ones are insulated to a low of minus 50-degrees Fahrenheit. With so many to choose from, it can be overwhelming to decide on the one that is best for you. We hope to have taken some of the unknowns away for your consideration when selecting the best sleeping bag for you, your family, and friend’s needs. Whether you put your sleeping bag directly on the ground or put it inside a camping tent, be sure you put it on a flat area where there are no rocks, twigs, or other debris under it. You don’t want to be kept awake all night trying to dodge sharp stones under your body. No one wants to get out of their toasty sleeping bag and readjust. Sleeping bags are typically made with the same materials used in costly big-ticket comforters, winter jackets, and ski wear. 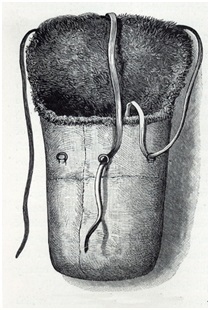 Goose or duck down is used for insulation and nylon is used for resisting water. Other filling is made of polyester and blends. Hydrophobic polymers added to down feathers improve dryness and/or other chemicals used for fire retardant properties. Some are waterproof, and some are water-resistant for quick drying. For hikers and campers, weight and compression are huge considerations. 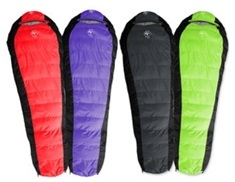 Sleeping bags vary in terms of temperature rating, insulation type, weight, and features. Traditional sleeping bags are zippered with a comforter or quilt pattern. The form-fitting mummy bag is not for all people, including me. They offer more insulation and are indeed a body hugger. Mummy bags are rounded at the top becoming narrowed at the bottom. It fits your body shape more snugly and closely. When you backpack or camp, you’ll want to know about the mummy bag compared to the rectangular traditional bag. A mummy bag is not as large as the traditional sleeping bag, not as heavy, and takes up less room than the rectangular or envelope bag. The slight weight difference is small but could be a consideration for backpackers carrying their backpacks for many miles. Others might want the smallest and lightweight bag out there in nature. The mummy-style bag is warmer with the same construction materials as a rectangular bag because the mummy bag snugs up and fits your body better. 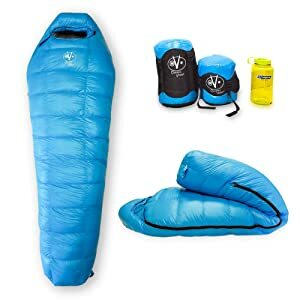 Unless you are camping at high altitudes or cold temperature places, most people camp during the summer and the slight warmth difference for the mummy bag is not very important. A traditional rectangular sleeping bag gives the user more room to move inside the bag while the mummy bag constricts movement. Both are comfortable and the traditional bag can be unzipped and laid flat as a blanket. Mummy bags usually are more expensive than a traditional sleeping bag. The price difference is minimal and most manufacturers sell either bag for the same price when they are rated at similar temperatures and made of similar materials for the shell and lining. Investing in a high-end bag will give better insulation ratings, higher down fill-power, and water proofing. Off-brands will give the same performance levels as the well-known name brands. Some of the name brands do not perform as well as economy bags. Look for performance before the cost. The Sleepingo 3-season is the traditional rectangular shape for adults, teens, and the kids sleeping bag as well. It is waterproof, lightweight, and a bit too heavy for backpacking. The temperature rating is 32-degrees Fahrenheit. The Sleepingo is a best seller under $60 on Amazon.com® that is comfortable, soft, and warm. It won’t rip apart or tear. Sleep out anywhere when camping or hiking. It is double queen size extra-large. The colors are olive green and gray and is light to carry. Some find that the area where the zippers meet at the bottom have a gap for cold air drafts. At 30-degrees F., you will need added blankets. The fill material is 210 tetron that is 65% polyester and 35% rayon with cotton. The outer fabric is silky made of polyester 210 thread count and is waterproof. Two travel size pillows are included free. You can also zip 2 of these bags together for an even larger sleeping area.You can separate the queen sleeping bag into 2 smaller bags. The label on the bag states that the sleeping bag is washable in a tumble-type washer (not top loading with an agitator) with cold water and line dry. The separated bags will wash better than the large full queen size. You might want to use the laundromat for washing purposes. The dimensions are 87-inches (7.25-feet) long x 59-inches(4.9-feet) wide with a zipper. 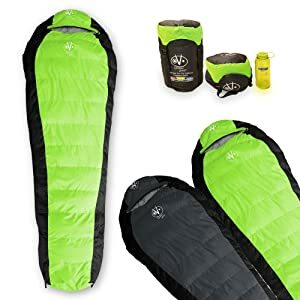 It can function as 2 individual sleeping bags or the 2 can be zippered together for the kids making this one of the best backpacking sleeping bags. It fits 2 adults with room to spare. It weighs 6-pounds. The temperature rating is 32-degrees F. and warmer. You can compress the sleeping bag to 2-cubic feet inside the stuff bag. Gift-wrapping is available for family and loved ones. You will receive the sleeping bag, stuff bag, and 2 travel pillows, instructions for use and care, and a Lifetime Warranty. It is made in China. The TETON® SPORTS, located in Salt Lake City, Utah, USA is definitely cold in the winter, especially the mountains on the west side of the Rockies. 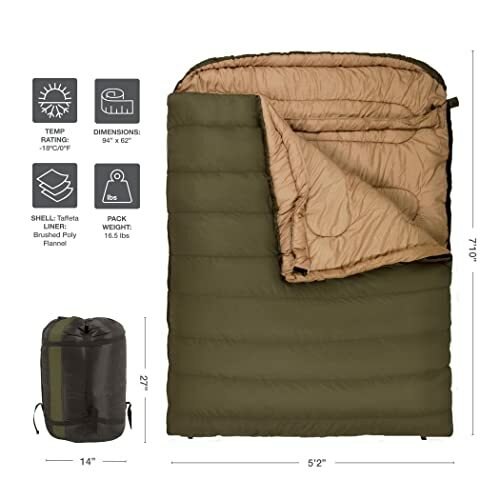 The super 3-seasons hiking and camping sleeping bag is +20-degrees and warmer and also comes in 0-degree Fahrenheit for those of you camping in colder weather than I like! The 0-degrees sleeping bag is a better lower rated survival bag. The colors are nice in olive green shown here, blue, gray, orange, and teal. Some colors have plaid liners. 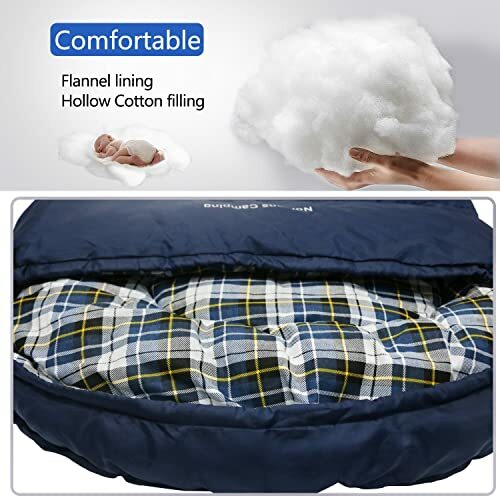 You will enjoy the comfort and warmth this sleeping bag gives on those freezing cold nights. The model number 111 is a best seller on Amazon.com® with great reviews. You will have a good night’s sleep with this bag outdoors. The Mammoth comes with shoulder and zipper draft tubes, drawstrings at the shoulder and around your head to keep you cozy warm. The inside is 100% brushed soft cozy polyester flannel for many years of use like the flannel bedsheets we love. The shell is a taffeta material with the fill of SuperLoft Elite™ 4-channel hollow fiber insulation to keep you toasty warm. The 2-layer construction has offset stitching for greater strength and durability. The design and materials will keep out the cold and drafts and you will not have cold spots to deal with. You can also zip 2 of these Mammoth bags together to have a dinosaur size bag. TETON® has free replacement parts using a form at their website. This company is very customer focused with a great Warranty that other companies don’t usually offer. 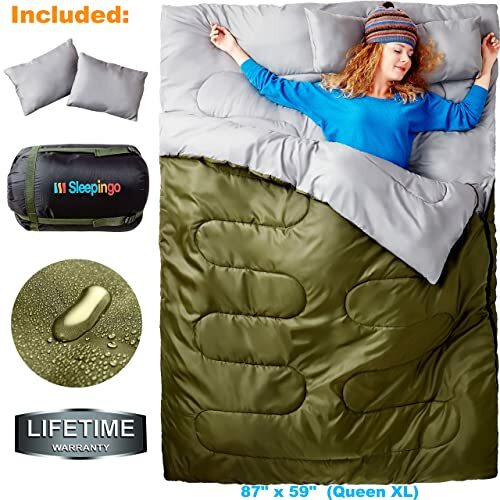 Wider than a queen size mattress and longer than a king size, this 94-inch long x 62-inch wide 14-pound sleeping bag for women as well is huge. 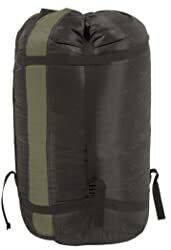 You will want to know that the pack size is 27- x 14- x14-inches and the stuff bag has carrying straps. There are zippers on both sides and you can zip one bag to another for a larger sleeping area. There is another zipper at the bottom for sticking your feet out on warmer nights, more ventilation and access in and out. Two adults and 2 small kids will fit into the bag. Do not wash this in a home washer! The washer will be too small and may damage zippers, reduce warmth, and void your Warranty if you ruin it and you will. The bags come with a stain-resistant outer layer, so they won’t need frequent cleaning. When it does get dirty, spot clean by wiping with a damp, warm cloth. For best results, don’t saturate the bag. Allow to air dry, and don’t fold or stuff it until the fabric is completely dry. Do not take the bag to a commercial dry cleaner. If your bag gets heavy use, consider buying the TETON® SPORTS washable sleeping bag liner. Use a foam pad underneath; air mattresses are cold. It does not have a storage area for keys or small things, but I’ll bet your backpack does. This bag is not meant for backpacking; it is for camping with a vehicle nearby. Gift-wrapping is available for family and loved ones. You will receive the sleeping bag, Oxford compression stuff bag with straps, instructions for use and care, and a Limited Lifetime Warranty. The customer service team is right here in the USA! You can count on getting your products taken care of and get you back outdoors at: #getoutdoors with TETON® SPORTS. It is designed in the USA and made in China. Here’s a storage tip: Stuff the bag in, don’t try to roll it up and then put it back in the sack. Watch the video to see how it’s done, below. How–to stuff the TETON® sleeping bag into the stuff sack video. The Outdoor Vitals® Summit is a fantastic soft and warm down bag for extreme sleeping comfort in the cold. The company is only a few years old but doing remarkable in the marketplace. The mummy bag is available in long, regular, or short for your 3-season camping, or hiking adventure to 20-degrees Fahrenheit. 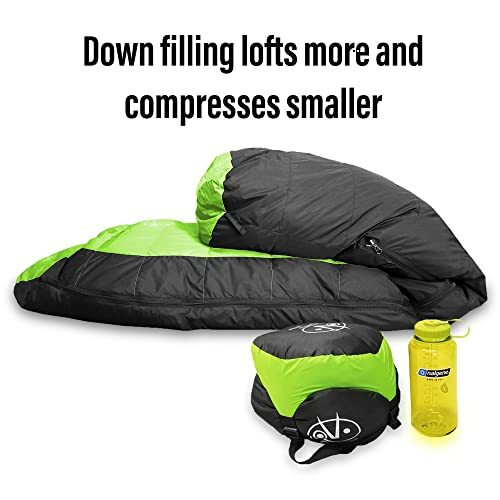 High quality 800 fill power duck down is used so the sleeping bag is lighter to compress to a smaller area. It is well known that down is the best insulator for warmth and lightweight. Choose from blue or black bags to include compression bag, drawstring, and other high-end features that you’ll love with this bag with the 20D (denier) 420T internal rip-stop satin fabric. The 2-way zipper is YKK® with guards and repair themselves. The initials YKK® stand for Yoshida KōgyōKabushikia Japanese zipper manufacturer making great types of zippers for 71 countries. 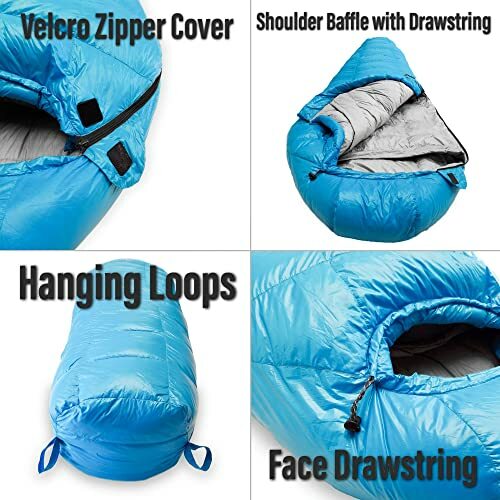 The zipper is on the right side of the sleeping bag with drawstrings at the face area with shoulder baffles. The regular size is 75-inches long x 31-inches wide x 3-inches thick weighing 2.75-pounds. The material type is 100% cotton jersey. The regular size fits up to a 6-foot person. 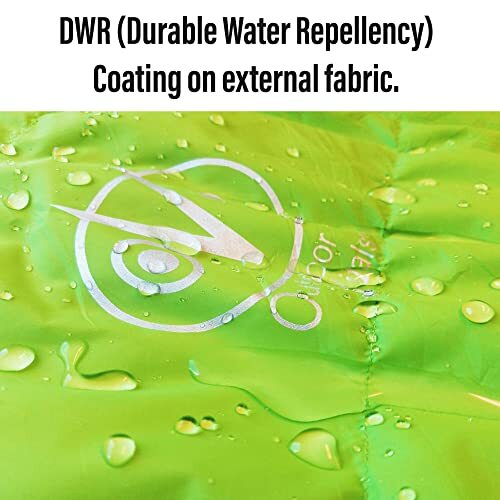 The unique VitalDry® DWR (Durable Water Repellency) coating repels water off the shell of the sleeping bag, keeping you warmer and drier! The shell is water-resistant however, the down is not hydrophobic. You can make it hydrophobic by washing it with Nikwax Down Proof for around $11. Hang your bag with the hanging loops to air out. Grid baffles (compartment) design keeps the down equally distributed through your sleeping bag. This equal distribution of down means no cold spots in your sleeping bag! You cannot zip 2 bags together with this bag. Amount of Fill: 510 grams/17.9 oz. Amount of Fill: 540 grams/19.04 oz. Amount of Fill: 585 grams/20.63 oz. Gift-wrapping is available for family and loved ones. You will receive the sleeping bag, a compression carrying bag, instructions for use and care, and a Limited Lifetime Warranty. It is designed in the USA and made in China. Ultralight Summit Series – Outdoor Vitals® Review video. 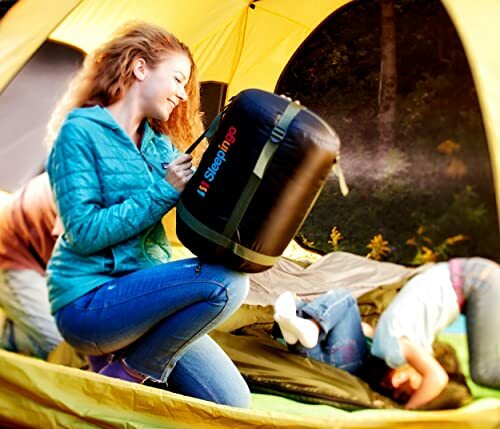 The Coleman® company, makers of coolers and great outdoor camping tents, has outdone themselves with the Big Basin™ hybrid-shaped sleeping bag. You get the extra warmth of a mummy bag with the extra space of a rectangular bag. It’s ideal for temperatures down to 15-degrees F. and is semi-rectangular. When it’s warmer outside, keep the hood ties slack and stick your toes out from the 2-way zipper for cooling those feet. It will cool off at night and the Coletherm® hollow polyester insulation will keep heat inside. 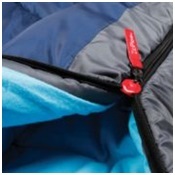 The Thermolock™ draft tube helps to block warmth from escaping through the zipper. Surrounding your feet and body is the fleece-lined footbox with special double-batt quilting construction to help get rid of potential cold spots. Thanks to the ZipPlow™ zipper, you’ll get snag-free opening and closing every time. The zipper is on the left as you lay on your back. It opens completely flat like a blanket. A durable, diamond rip-stop reinforced polyester cover will ensure you get to use this extra-warm bag season after season. 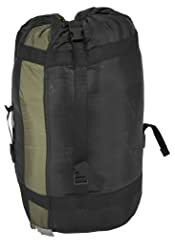 The material is 100% polyester keeping you toasty warm from 0- to 15-degrees F.
The bag is large and might be too much for backpacking unless you use a frame backpack. It’s ideal for vehicle camping and overland trips. Or put it in your hammock to get out of the house in the winter time! You cannot zip 2 bags together but 2 skinny people or kids will fit into it. The bag will hold 6-foot-6-inch sleepers in it with a wide bottom to move your legs and feet. The hood is semi-sculpted to hold in head heat. A small mesh pocket is inside for a cell phone or keys. The dimensions are 92-inches long x 39-inches wide and weighs 8-pounds. You can machine wash this sleeping bag, and it’s best in a commercial laundromat because of its size. The bag is water-resistant but not waterproof. The stuff bag is about 18- to 20-inches long and 12- to 14-inches in diameter when stuffed with the sleeping bag. Gift-wrapping is available for family and loved ones. You will receive the sleeping bag, a stuff sack, instructions for use and care, and a 5-year Limited Warranty. It is designed in the USA and made in China. Coleman® Big Basin™ 4-Season Sleeping Bag video. 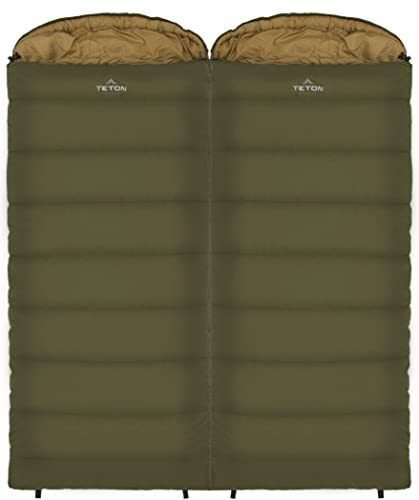 The TETON® SPORTS company in Salt Lake City, Utah, USA, since 2005, makes a terrific minus 25-degree F. (-25 C.) sleeping bag for the most life-threatening wintry weather conditions and frozen tundra when camping. It’s heavy for backpacking. You can be as self-indulgent as you like knowing you are given warmth and comfort when away from your home bed. Crank up a huge bonfire and snuggle in for the night in this extra spacious 3-season bag that is 90-inches (7.5-feet) long and 36-inches (3-feet) wide making it 15-inches longer than a standard bag and 3-inches wider in this mummy-style. Choose from green, blue, or grey. The pack weight is 9.5-pounds and the stuff bag measures 14.25-inches wide x 19-inches deep when packed. The fill weight is 3-pounds and the total bag weighs 7-pounds. The inner lining is soft brushed polyester fluffy flannel just like those sports shirts we wear and the sheets we sleep on all winter. You can cinch up the half circle mummy hood to get your head off the ground and your face warm. Even more, the diamond rip-stop outer taffeta shell is comfy as well as the shoulder and zipper baffles for more heat holding power. You will have even more cushioning around the shoulder with theright or left zipper with the 2-way metal zippers to keep the cold out with the drawstring. Buy a left hand and right hand to zip together. An internal storage pocket is inside for your keys, wallet, and other valuables that closes tight with Velcro®. With the staggered sewing on the seams, you will know the fill inside is evenly distributed to reduce compression not bunching up in balls in the corners. 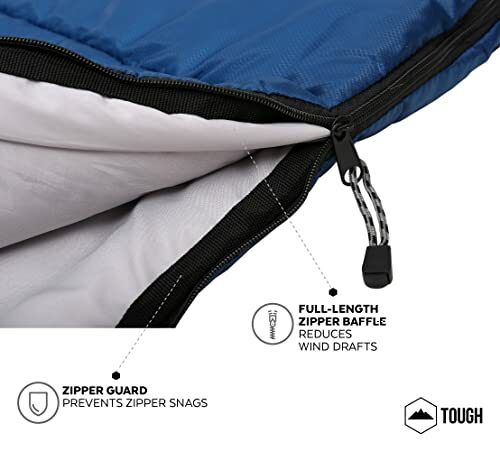 The zipper will never snag, opens at either the top or bottom and can be attached to a second sleeping bag—or more bags. Couples will stay warmer and the kids will have a great time giggling without getting much sleep! Gift-wrapping is available for family and loved ones. You will receive the sleeping bag, anOxford stuff sack with drawstring closure and straps with color stripe and barrel-lock, instructions for use and care, and a Limited Lifetime Warranty. The customer service team is right here in the USA! You can count on getting your products taken care of getting you back outdoors at: #getoutdoors with TETON® SPORTS. It is designed in the USA and made in China. Getting to Know Your Celsius XL -25F. Sleeping Bag video. 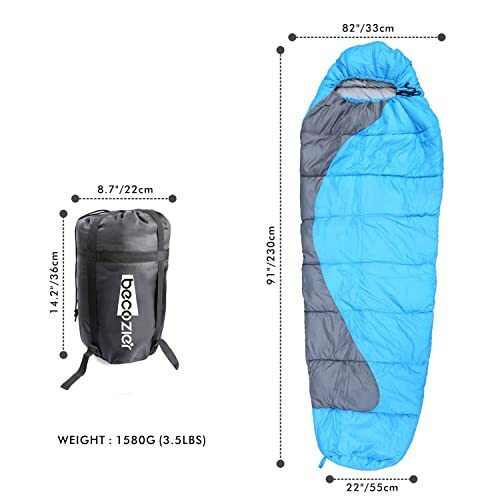 The Becozier model number SKY1464 sleeping bag is not the one for winter use. It is low temperature rated for spring, summer, and fall. Temperatures below 24ºF/41ºF are not recommended with this bag. I wouldn’t take this one to the Arctic or top of the Rockies. It is a two-toned blue with gray interior mummy/envelop-style that is lightweight and portable. The comfort temperature range is 42°F-65°F. 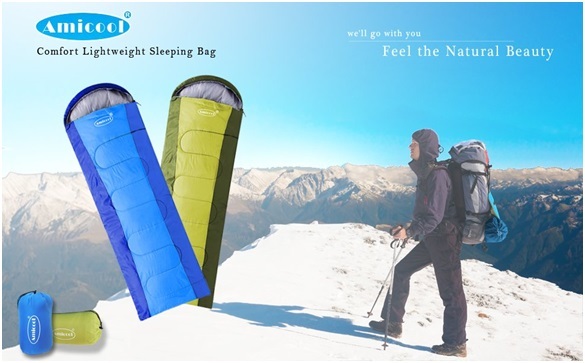 The temperature rating is 24-degrees F. It’s the best backpacking sleeping bag for outdoor camping, a fishing trip, and hiking. This is the perfect sleeping bag for kids, teenage boys, and of course, a warm girls sleeping bag for sleepovers or backyard camping. The bag is ideal for warm yet cooler temperatures. The shell is made with high-density outside 210T/190T (thread count-total number of threads per square inch) waterproof polyester and stuffed with heavy-duty 350g/M2 hollow fiber. Check out the no snagging zippers that seem to glide down the side with ease. It’s machine washable on the cool/gentle cycle and would turn out better at the laundromat. The bag will cover you from head to toes with the self-contained hood for preventing heat loss to your head using the drawstring. The bag is warm and soft, comfortable, and cuddly. You can unzip it totally to be a blanket or comforter. And, there is a pocket inside to store your wallet, cell phone, keys, or glass case. Pack up your pots, pans, skillets, and head for big adventures no matter where your imagination takes you. The Dimensions are 90.5-inches long x 32.3- inches wide/top x 21.7-inches/bottom and the zipped-up dimensions are 88.6-inches long x 29.5-inches wide x 2.3-inches thick. The bag weighs 3.5-pounds. It compresses down in the stuff bag to 14.2-inches tall x 8.7-inches wide and could go smaller. That makes it light and small to add to your backpack when hiking. Gift-wrapping is available for family and loved ones. 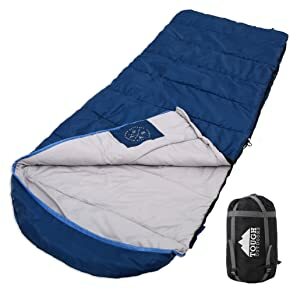 You will receive the sleeping bag, stuff sack with drawstring closure and adjustable straps, instructions for use and care, and Becozier will replace or return your money with no questions if you are dissatisfied. It is made in China. The Norsens 100% water-resistant polyester shell with fill inside of 100% cotton flannel is perfect for weather conditions of 30- to 50-degrees Fahrenheit. This bag would not keep you safely warm under 30-degrees F. in cold chilly winters. The 4-pounds of hollow tube cotton fill will keep you insulated and comfortable for spring, summer, and autumn nights. The S-design shape quilting holds the fill in place. It is a rectangular shape with plaid lining with blue exterior. Pack up your soft cooler and head out for your great adventure. Your head will be off the ground using a pillow with the adjustable mummy curved hood that that has a drawstring to fit tightly around your head and face. 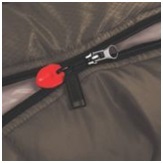 The snag-free zippers have Velcro® tabs at the top to hold the red zipper puller tabs in place. With the full-length zipper baffles, drafts will be decreased if not eliminated altogether. The zippers can be difficult to unzip but the solution is easy. 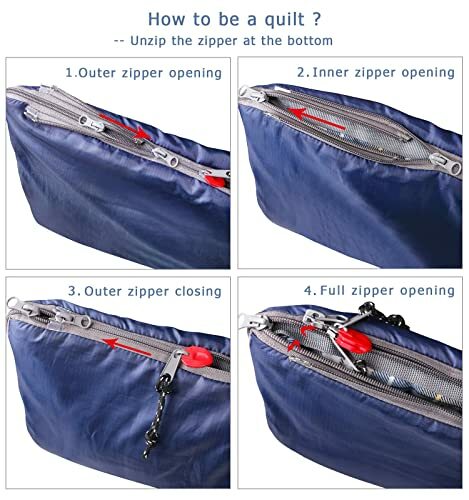 To open the bag into a flat blanket or quilt, know that there are double zippers on the side and bottom. Unzip the side zipper from the bottom to the top then unzip the bottom zipper, then unzip the side zipper again but this time, from top to bottom. When you see it, it will make perfect sense. A small pocket is located inside for small things such as a cell phone or wallet. The Oxford compression stuff sack has a drawstring closure with straps. You can zip 2 of these bags together to make a double sleeping bag for the kids and their friends or you as a couple with kids. The dimensions are 90.5-inches long x 32.6-inches wide. The packed size is 15.7- x 10.2-inches. The compressed size in the sack is 11.8- x 10.2-inches, and even smaller at 11.8- x 10.2-inches. The weight is 4.2-pounds. It will hold a 6-foot 5-inch person at 190+ pounds. Gift-wrapping is available for family and loved ones. You will receive the sleeping bag, stuff sack with drawstring closure and adjustable straps, instructions for use and care. It is made in China. The Tough Outdoors is located in California, USA, close to those cold mountains in Nevada. They designed and engineered the hooded sleeping bag for backpacking, horse riding packing, hiking, and sleeping in the backyard. It will hold a 6-foot 6-inch person weighing 290+ pounds. With the waterproof rip-stop outside shell, a little misty rain won’t bother it and the high loft fill will keep you comfortable cozy and warm. The bag will not break your bank and it is durable and long lasting. With an extreme temperature of 25-degrees F., you should be safe if not on Donner Pass in late December. Do some star gazing and enjoy the night in comfort. It would be a warm and comfortable boys sleeping bag as well for a kid’s night out. The inside fill is 100% polyester for warmth. You can open it completely for a queen size blanket or quilt. A storage pocket is inside for small items, a cell phone, keys, wallet, or glasses. The bag is washable and comes with a stuff sack. The bag is designed with baffles around the neck and zipper to prevent heat from escaping and has 2 zippers to partially open the bag on a warmer night. The zipper is on the right side when laying on your back. It will fit into The North Face® Jester Backpack easily. The dimensions of the bag are 88-inches long x 34-inches wide. The stuff bag stuffed full is 15- x 8- x 8-inches. It weighs 2.8-pounds. Gift-wrapping is available for family and loved ones. You will receive the sleeping bag, stuff sack with drawstring closure and adjustable straps, and instructions for use and care. It comes with a 1-year Guarantee. It is made in China. 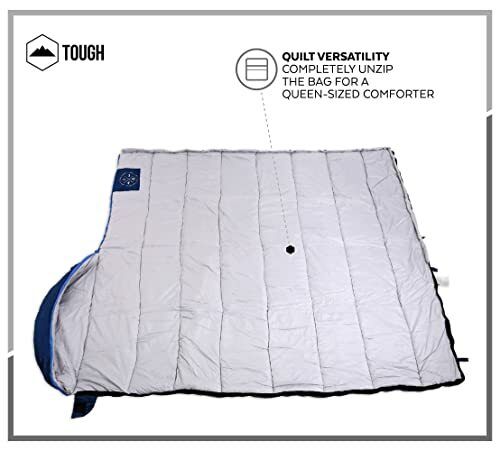 Tough Outdoors XL (88″ x 34″) Sleeping Bag Fits Backpack! The Amicool® envelope-shaped sleeping bag for hiking, backpacking, horse riding, camping, sleepovers, and backyard camping is superior for kids, teens, and adults. It is lightweight and waterproof. It comes in two-tone green or two-tone blue to match other gear. On warm days, pack up the family and buddies, take your ice chest cooler and enjoy the balmy days and evenings. With its 210T polyester shell material and comfortable 290D (denier) cotton hollow tubes flannel lining, and 21D pongee, you will stay toasty warm but not overheated when out under the warm starry skies but not on an iceberg. Authentic pongee is Chinese made from silk; this is an inexpensive bag so it might be synthetic. It’s ideal for 3-seasons of spring, summer, and fall, with the max temperature of 40-degrees F.
Open it fully with the 2-way separating zippers to be a blanket or comforter. Two bags can be joined together at the zipper. It measures 83-inches tall x 27-inches wide and weighs 3.3-pounds. Gift-wrapping is available for family and loved ones. You will receive the sleeping bag, stuff sack with drawstring closure and 4 compression straps, and instructions for use and care. It comes with a free exchange for damage, or incorrect product shipped. It is made in China. 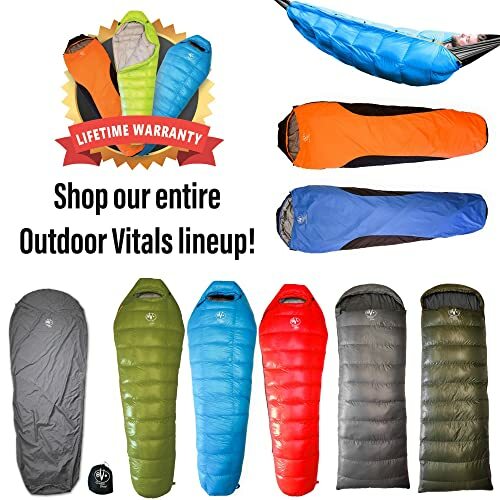 The Outdoor Vitals® Atlas is another loftier down mummy-style sleeping bag for 3-season camping and hiking to 30-degree Fahrenheit weather. With 500+ duck down fill power (1000 grams), you will stay warm with a lightweight bag to carry only 2.75-pounds. In addition, it will compress to a slight 9- x 9-inches. Down is the best insulator there is and that’s why nature gave it to birds to keep them warm in winter. This bag is available in 15-degree F. as well. Simply choose 15- or 30-degree F. at Amazon.com®. With the heavy-duty 2-way zippers, you will not be exposed to the cold because they will stay in place never sliding down. The 2-way zipper is YKK® with guards and repair themselves. The initials YKK® stand for Yoshida KōgyōKabushikia Japanese zipper manufacturer making great types of zippers for 71 countries. You can open the bottom zipper when it’s warm and these zippers will not snag. 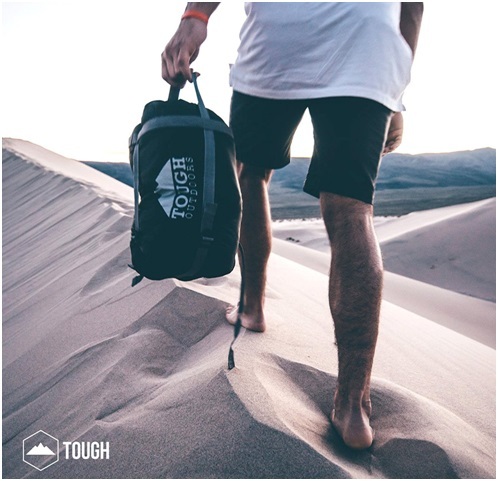 The bag comes with a Velcro® zipper cover, hanging loops, drawstring at the top for your head and face to be snug and warm, and a shoulder baffle drawstring. The outer rip-stop shell of 30D 320T nylonfabric is protected from the elements with a layer of water-repellent finish. 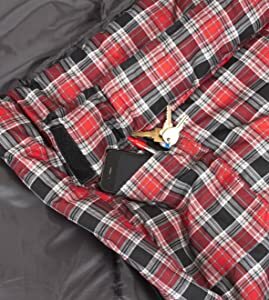 A pocket is at the top inside to store your cell phone or other small items. Rain or water will bead up and fall away. The bag can be machine washed in cold water and on low heat in the dryer. Attach another bag to it for an even larger size. A compression stuff bag with drawstring and straps lets you stuff it full and tighten up to 11- x 9-inches. The 30-degree F. bag weighs in at 3-pounds even with the compression bag or 2.14-pounds without the compression bag. The 15-degree F. bag weighs in at 3.13-pounds with the compression bag or 3.9-pounds without the compression bag. You will want to attach 2 bags of the same temperature degrees, unless you want a bag with cool power at 30°F. and the other at 15°F. I wouldn’t think so for myself. The bag fits tight to keep you warm and comfortable. The dimensions for either bag are 80-inches long x 30-inches wide with the compressed size of 11- x 9- x 9-inches. The hip width is 26-inches wide or a total hip girth of 52-inches. The bag fits a 230-pound person 6-foot 6-inches tall. The stuff sack compressed is about 19 liters volume; compressed about 10 liters. Outdoor Vitals® 15-Degree F. Down Sleeping Bag video. Sleeping bag temperature ratings should not be taken too seriously. There are no standard or worldwide way for determining ratings. The best thing to do is use the brand’s temperature ratings as a place to start from and go from there. You and your body are the best temperature rater. Temperature classifications are given for the temperature inside a tent using an isolating mat. It is also based upon people wearing warm clothes. The best bag is the one that keeps you dry, warm, and comfortable. 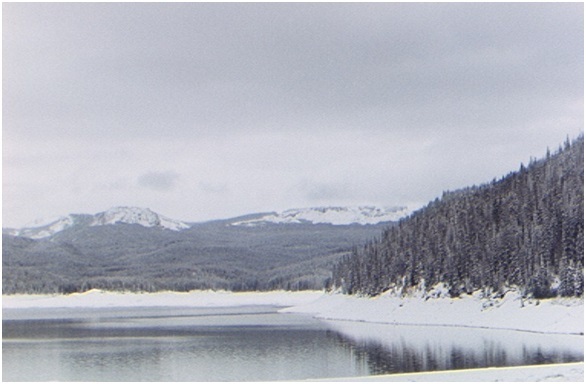 Feather (down) fill is better for low temperatures and low humidity such as the mountains. The best quality bag will be 70/30 where the down is 70% and the feathers are 30%. Polyester synthetic hollow fibers will give you more water resistance when wet rather than the down bag when wet. Mummy- or cone-shaped bags give the most warmth for your entire body and head. They take up less space when packed into a stuff bag or other device. Rectangular bags are best for camping tents with family or friends. This shape can unzip and be laid flat as a blanket, comforter, or quilt for group sitting. Consider accessories: Bag liners, camping pillows, and camping sleeping mats. Bag liners give you more warmth and moisture protection. Liners keep your bag clean and are easier to wash not needing to wash the bag so often. Camping Pillows help your back and neck so that you will sleep more comfortably when on the ground or even in a hammock. When your neck and back doesn’t ache in the morning, you will feel more like doing things. 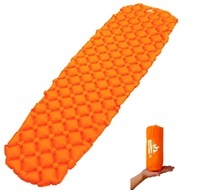 Pick up the inflatable butterfly design that is rectangular, indented in the middle that will support your back because most campers sleep on their back. 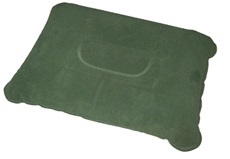 Sleeping mats are an absolute necessity when camping out in the winter on cold frigid days and nights. Some are tufted, some come with built-in pillows and some are flat without pillows; some are rolled, self-inflating, blow up, or a roll form mat and some have a carrying bag. There are many to choose from for a better night’s sleep. When sleeping on the ground you lose body heat in your lower extremities. Your best bet is to put a mat between you and the icy cold ground probably with perma-frost. 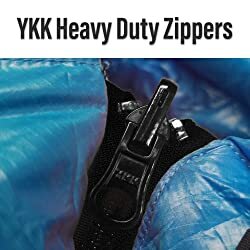 EccoTek Outdoors, TETON SPORTS®, Kelty, Coleman®, Grizzly®, Fox Outfitters, Therm-a-Rest®, Klymit all make these accessories available on Amazon.com®. Rectangular bags can be joined together at the zippers to the same kind for more people sleeping. Generally speaking, down bags weigh less than synthetic bags, and summer bags weigh less than cold-weather bags. If you’re heading for the backcountry and are concerned about weight, look for a bag that meets your temperature requirements and weighs less than 2-pounds. We hope the products, information, and tips have given you a good idea for the best sleeping bag for your adventure. Read customer reviews for those who own the sleeping bags and see what they have to say. The products with the most stars and large number of reviews tell you that people are happy with their bag and you might want to consider that brand for your choice. Happy shopping and a comfortable warm soulful adventure in the wilds or in your own backyard.